Cubital tunnel syndrome is the second most common neuropathy involving the upper extremity with an estimated incidence of 24.7 cases per 100,000 person-years. Gruchow HW, Pelletier D. An epidemiologic study of tennis elbow. Incidence, recurrence, and effectiveness of prevention strategies. Am J Sports Med. 1979;7:234–238. Myden C, Hildebrand K. Elbow joint contracture after traumatic injury. J Shoulder Elbow Surg2011;20:39-44. Does your friend or family member have pain or tingling in their ring and pinky finger when they bend their elbow? Do those fingers often fall asleep on them? If either of those statements are true there is a chance that they have Cubital Tunnel Syndrome. This is caused from an irritation of the ulnar nerve as it is being entrapped in the cubital tunnel. 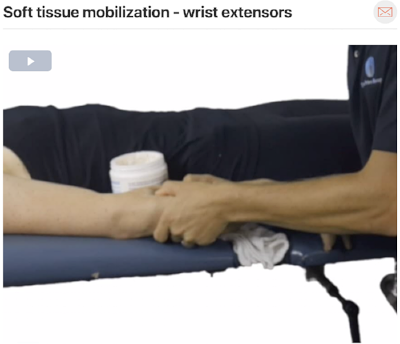 Does your friend or family member have pain on the outside of their elbow? Does the pain get worse when they play tennis or golf? Do they have pain with gripping? 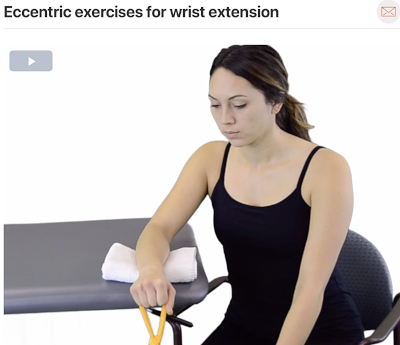 Lateral epicondylalgia is an overuse injury and is caused by repetitive motions. Ulnar collateral ligament (UCL) pathology often occurs in individuals who perform repeated/forceful overhead movements. 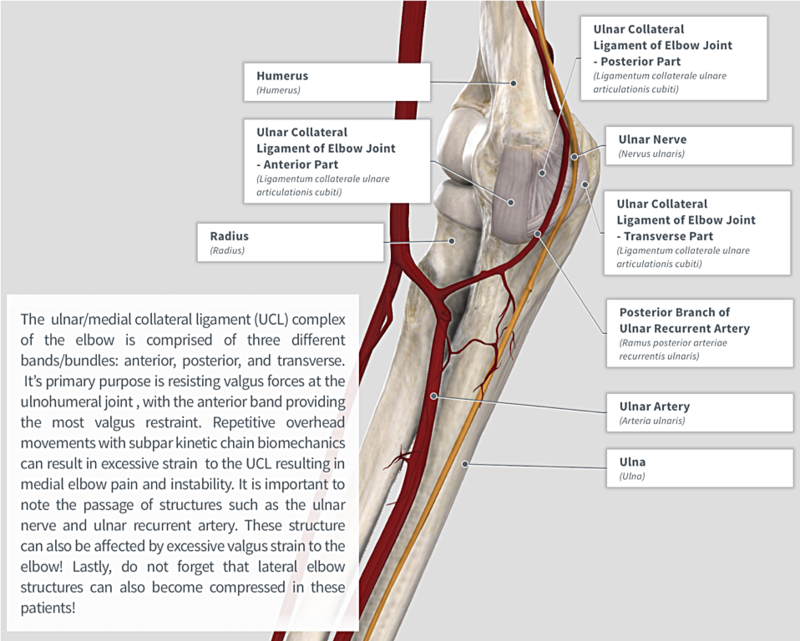 If your patient is an overhead athlete complaining of medial elbow pain, check the UCL! Clinical Pearl: In overhead athletes it is important to assess the entire kinetic chain in order to determine if faulty force transmission is present. 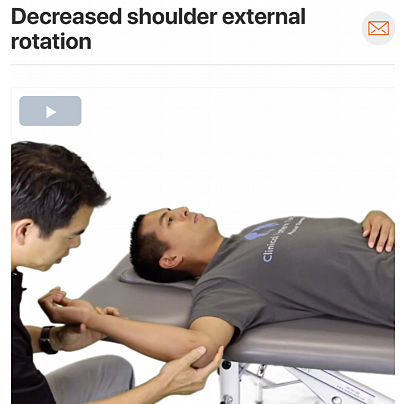 For example, research shows that decreased hip internal rotation range of motion can also result in excessive force transmission through the shoulder and the elbow! 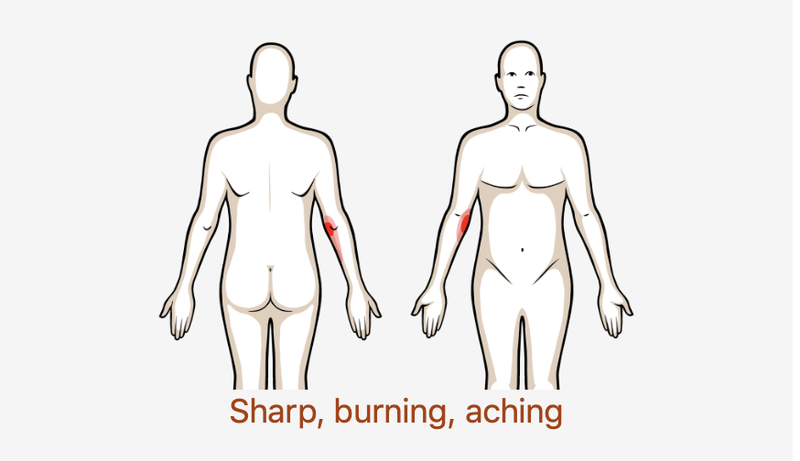 *Acutely, addressing pain and inflammation around the UCL via techniques such as soft tissue mobilization and activity reduction may prove to be beneficial. 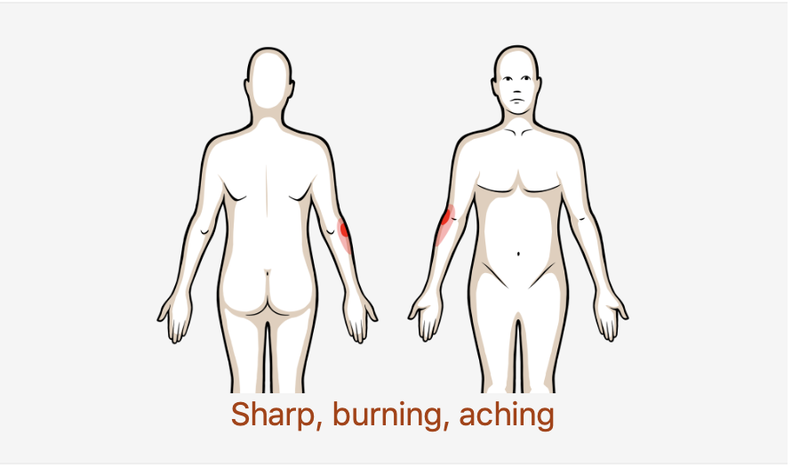 Often, after traumatic injury (e.g. 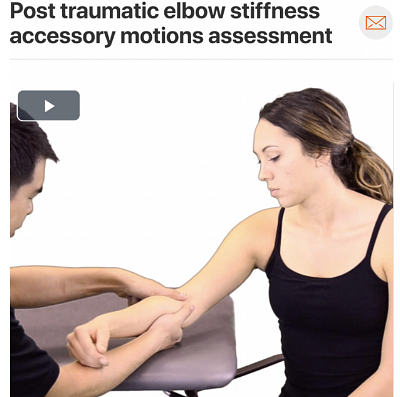 fracture) or immobilization, the joints of the elbow along with the joint capsule can become stiff resulting in pain and decreased range of motion!